Sean Szymkowski November 22, 2018 Comment Now! Vector is one strange automotive case. Its boutique exotic automaker's history would make for an excellent screenplay, as it was embroiled in drama. More importantly, though, the company made some incredible supercars. 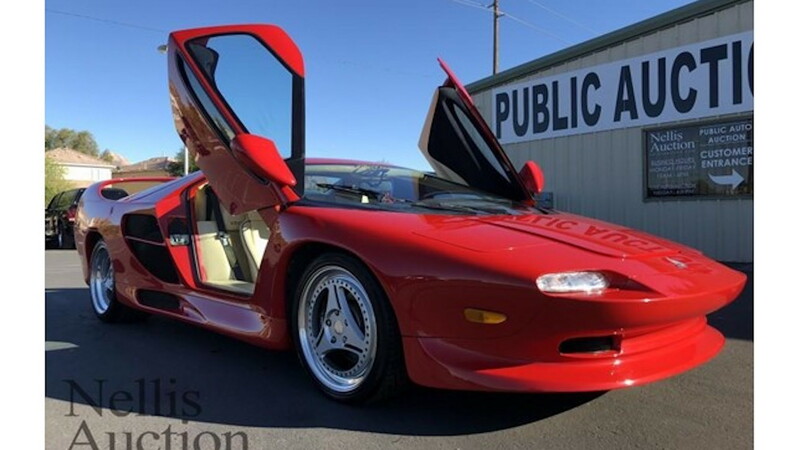 Case in point is the Vector M12 built from 1995 to 1999. Only 14 were made and this 1996 model is headed to auction. 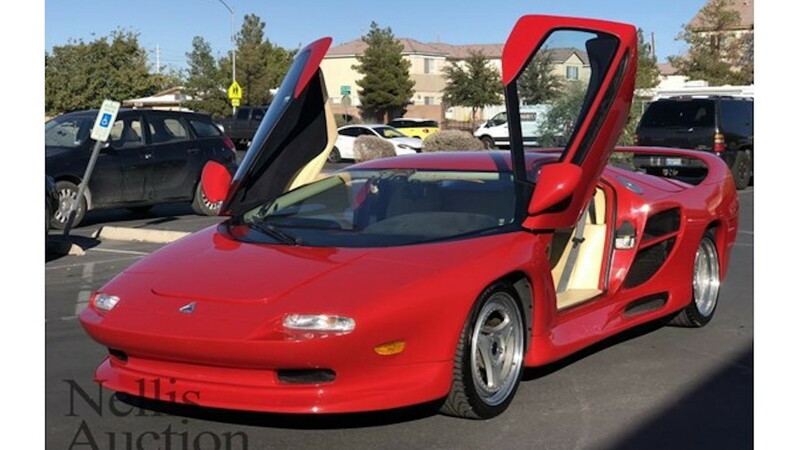 duPont Registry discovered the supercar on the Nellis Auction website. According to the company, the M12 has been stored in a Las Vegas owner's garage for decades. Only 4,100 miles show on the odometer and everything runs as it should. The car does have a fuel leak, however. Otherwise, the car looks minty fresh, judging by the photos provided. Nellis is a local public auction company that acquired the car on consignment after the owner passed away. Mounted midship is a 5.7-liter V-12 that when new made 492 horsepower. The 0-60 mph sprint is quoted at 4.8 seconds before the M12 tops out at 190 mph, per the consignment information. The M12 comes from the era when Vector was owned by Megatech. The Indonesia-based Megatech launched a hostile takeover of Vector Aeromotive and relaunched the company as Vector Motors Corporation in 1994. The M12 is also closely related to the Lamborghini Diablo, believe it or not. Megatech also owned Lamborghini at the time after Chrysler unloaded the Italian marque in the 1990s. Thus, the M12 shares many components with the Diablo, but it's wrapped in a strikingly different design. In fact, we're not even sure how to describe the car's design. Portions seem to take cues from some of the most legendary supercars of the 1990s, but other parts are unique to the M12. Nevertheless, the look is still absolutely suited for a bedroom poster of the era. 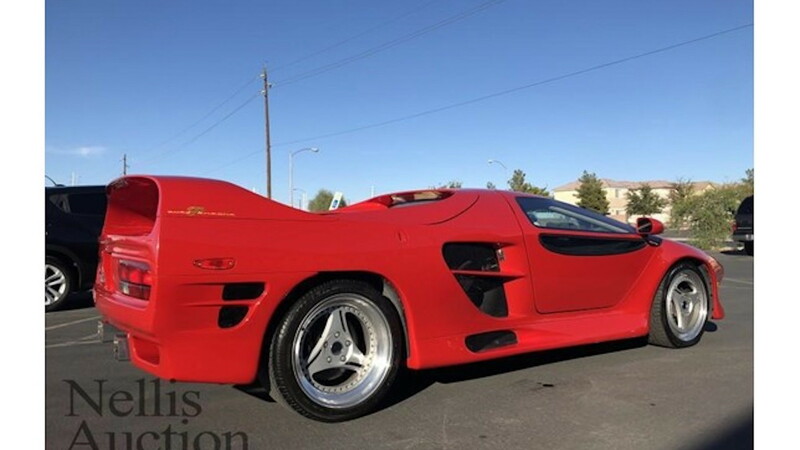 The auction listing doesn't say what the car should sell for, but we spoke to Nellis and a representative said he expects $110,000 to $120,000. The auction takes place on Dec. 4 in Las Vegas. Interested parties can bid in person at the Nellis headquarters in Las Vegas or online via the company's website. 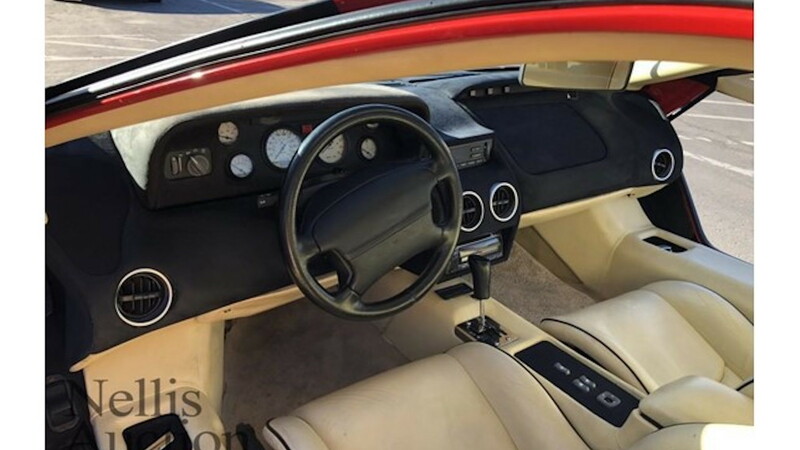 Serious buyers can also schedule an appointment to preview the car.